Ever since I decided to follow my dreams and pursue a career in the arts, I’ve also been feverishly looking for ways to make a great living while doing it. 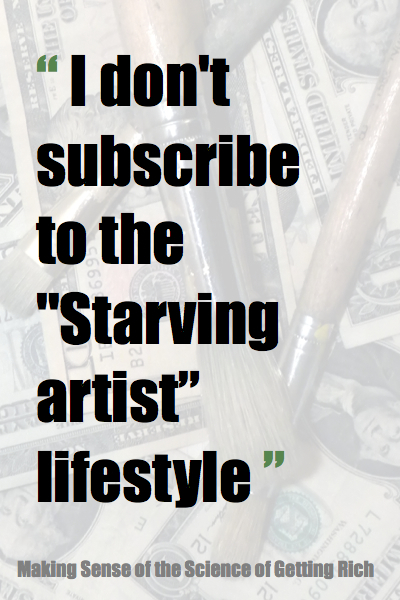 I don't subscribe to the "Starving artist” lifestyle and have been looking for ways to overcome it. There are plenty of living artists who make a comfortable living while remaining creative, so I decided to look for clues. While looking for clues, I discovered an old book called the Science of Getting Rich, by Wallace D Wattles. This book, published in 1910, claimed that earning money is nothing more than a scientific process that requires us to follow certain procedures in order to acquire as much as we want and are capable of using for the betterment of ourself and others. Since the book is a over 100 years old it's a little difficult to understand. I've been going over it a couple times, taking notes and adding my own findings and thoughts about the claims in order to see how they apply today. Along with my study of this book, I started to look for clues by analyzing the lives of those who have gone from rags to riches, as a way to better understand the principles and find concrete proof that they work. I figured if I can find a good number of people who have, knowing or unknowingly, followed the proposed process and were successful at it, I can do the same. And, following the principle of increase proposed in the book, I am sharing my findings so that it can benefit others as well. As my notes are getting more extensive and I'm finding out more fascinating and concrete examples in the lives of known successful people, I figured it would be nice to also put these findings together in a study guide for others to benefit from, which is what I'm currently working on : Making Sense of the Science of Getting Rich. This is also how this blog came to be. I will be documenting some of my thoughts and findings as I go along, and share the process of putting everything together with you. If you’re interested in being one of the first to know when the books will be available for purchase, subscribe to MJ's Newsletter below. 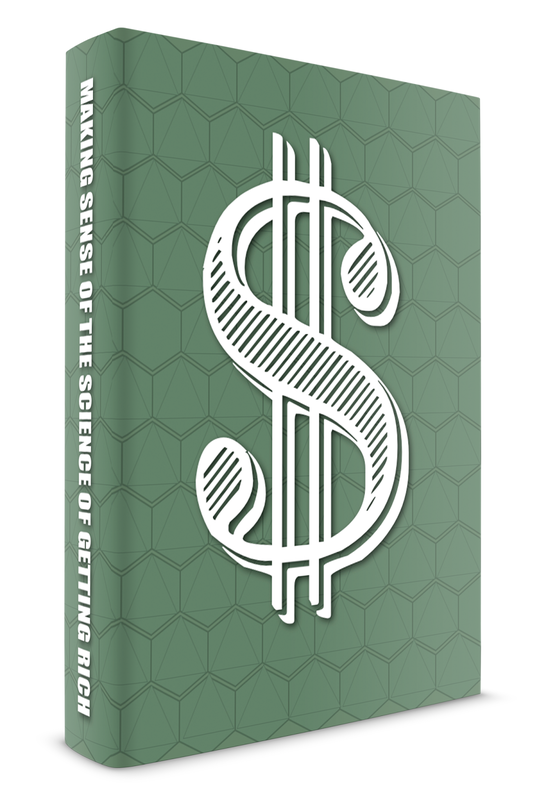 As a token of appreciation, you will receive a free and updated PDF copy of The Science of Getting Rich from which the upcoming Study Guide, Workbook and Case Studies will be based on.